Trending Colors of 2019 - Just Blinds Inc. The whites and the blues of a powerful storm over the ocean are both dramatic and powerful. An iridescent scene of evening lights sends out the most warming glow of whitish peach. A checkered board of soft whites and gentle grays are quietly touched with hints of warming blues. The terracotta beauty of our western deserts appear artistically designed. Muted, soft colors of a volcanic field seem peacefully relaxing. Bold and deep colors cover the sky of sunrise across the Philippine Sea. Mushroom colors explode from the Mount Etna in Italy. Beautiful earth tones blend together from Madagascar. Deep greens and blues seem to be in harmony on and around the tropical island of Hawaii. Dynamic yellow lights accent Mount Vesuvius. Now, look at the colors that are trending in 2019, as reviewed in Décor Aid. It is utterly captivating to look at these beautifully designed rooms that seem to parallel with almost every picture in the Space.com photo shoot. A dramatically-designed kitchen boldly stands out with bright whites and beautiful sea blues. You can capture the colors of hazelnut within the warming lights from Earth at night. The varying shades of gray are captured in the checkered board scene, where you can also see a hint of lilac. The muted colors of a volcanic field are inspirational to a room with muted pastels. Soft clay colors can be found in the earth tones from Madagascar. New blues can be found from so many different views of our planet, Earth. Mustard can certainly be found in the rich-clay deserts around our world. In the mist, there are bold and deep colors as seen in a sunrise across the Philippine Sea. With any mushroom, deeper and glittery colors can explode all around it to set any mood. Pewter, as found around our Earth’s sphere, can be muted or bold to give any light-colored room a focal point. So you will know what is out, you will want to look through this MyDomaine review. Again, the earth-inspired colors are what is in for 2019. Dark green paint is in. Bronze, an earth tone, is in. Pottery, another earth tone look, is in. Hand-dyed fabrics, muted and soft, are in. Art deco furniture, something almost mushroom-like, is in. Seamless cabinets, modern, clean and white, are in. Something that is “always in” is going against the trends. For over 30 years, we have been helping our customers give their rooms their finishing touch with simple, bold and dramatic, or elegant window treatments. Window treatments can help complete a room’s design and statement. 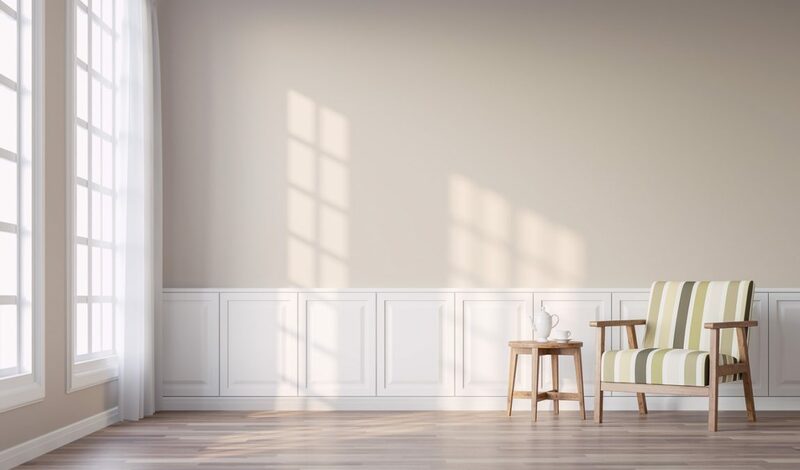 If you’re building or remodeling a home, be sure to know what finishes, paint colors, and decor to use for the look you want throughout your home. If you’re ready for a change, the links we have shared will help you with some creative ideas. Whether you want shutters, blinds, shades or draperies, Just Blinds, Inc. is here to help you envision the final look. With the colors that are trending, there are exceptional choices, and we can show you what would perfectly blend or boldly standout. We will help you imagine what your home will look like with these trending colors from Earth. It’s always exciting for us to create, beautiful and picturesque views at every window. Call to begin planning your home’s new look today.